Fireworks and flames took over central Valencia on Tuesday (March 19) as locals and thousands of tourists celebrated the end of a four-day festival with the burning of more than 380 ornate and colourful monuments made up of giant figures known as ninots. Valencia's Fallas festival is held every year to commemorate St. Joseph. 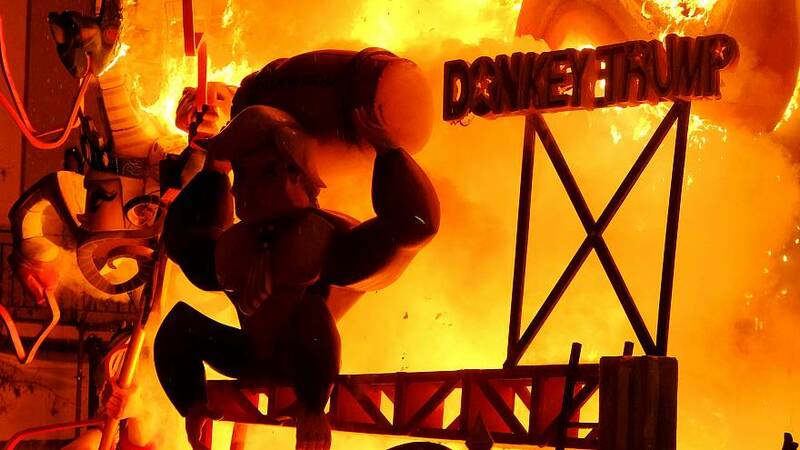 Every neighbourhood in the coastal city spends the year building a Falla, only to set it alight at the end of the festival.